Each $59 box contains 10 packs. Each pack contains 28 cards. Each box includes 10 Special Edition packs. 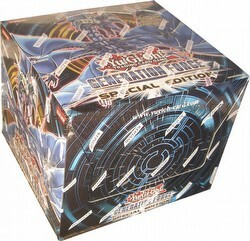 Each pack includes 3 Generation Force booster packs, and 1 of 2 hard-to-find championship-level foil variant cards.